We’d love your help. 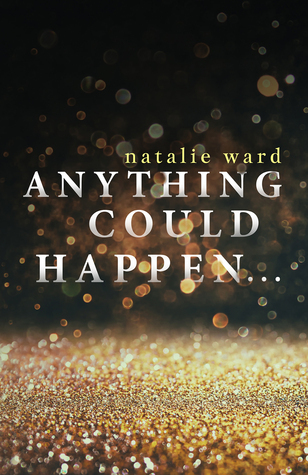 Let us know what’s wrong with this preview of Anything Could Happen... by Natalie Ward. Alex doesn’t believe in fate. He doesn’t like to think of his life as somehow being pre-destined or set in stone. The way he sees it, nothing is written in the stars. Instead, Alex prefers to believe that his choices matter, that all of them, no matter how small or seemingly insignificant, have a role to play. Alex believes that only he can decide the journey his life will Alex doesn’t believe in fate. Instead, Alex prefers to believe that his choices matter, that all of them, no matter how small or seemingly insignificant, have a role to play. Alex believes that only he can decide the journey his life will take. But what if those choices were taken out of Alex’s hands. What if he no longer had the power to decide not just the journey, but also the destination. Or would everything stay the same? Well, Alex is about to find out. And every decision has a repercussion. To ask other readers questions about Anything Could Happen..., please sign up. An avid reader and writer who doesn't sleep enough. Come and follow me on Facebook!